The Necessity of French Cafés is the blog of ArtSlant's Georgia Fee Artist-in-Residence, Lisa Diane Wedgeworth, who will be undertaking her residency in Paris during June and July 2016. Lisa will build this blog as a digital archive of essays, photographs, excerpts of narratives, and other relevant manifestations of the project. I sit at Au Rond Point, a café on the Boulevard de Ménilmontant waiting for my new friend, Charles Reese (an American actor and author who had recently presented at the James Baldwin Conference), to return. Moments before, we explored the Père Lachaise Cemetery, home to the tombs of Chopin, Edith Piaf, Oscar Wilde, Jim Morrison, Richard Wright, and Patrick Kelly; we were off to Chateau Rouge, a bustling West African neighborhood in the 18th arrondissement, when Charles realized he did not have his metro pass. Having made the unfortunate choice to wear very flat sandals—the cobblestone walkways of Père Lachaise wreak havoc on thinly soled footwear—I chose to wait for him, at this café. I choose a table next to an elderly African man, who I later learn is Senegalese. He is smartly dressed and has a kind face. On his tiny round table rests an empty espresso cup along with two 50 euro cent coins resting upon his bill. I watch him. I look at him. I see the way he sits, comfortably, owning his place at the café and I think about the black Americans who chose to leave the United States between the 1900s and 1940s to escape racism and came to Paris to live. Living for some meant running a nightclub or opening a soul food restaurant; for others it meant writing essays and books or painting and sculpting; and, then there were those who introduced the French to jazz and black American dance. I picture these entrepreneurs, writers, visual and performing artists sitting at cafés enjoying the freedom to create, to experience leisure, and to enjoy an espresso in public whenever, wherever they pleased. I am living in Paris for two months as a Georgia Fee Artist-in-Residence. I am here to begin this new project, The Necessity of French Cafés, which acknowledges the lives of black Americans living in Paris today. I want to know if their contemporary experiences confirm or contrast the historical narratives of freedom and the romanticized narratives of the Parisian’s love for the black American. And if, in any way, their experiences are informed by those black Americans who came before them. While I am here, I will also make new work that responds to and interprets these—as well as my own—narratives. This is my plan. There is a saying, “Man plans, God laughs.” I am in Paris and people have lives. They have schedules and families and responsibilities, so regardless of the fact that I am in Paris with plans, I must be patient and move with the rhythm of Paris and those who have chosen to live here. While I wait patiently for schedules to align, I consider my own reasons for being in Paris, outside of the reality that I have been awarded a two-month artist residency. Why Paris? How did I come to love a country whose cultural cues I am unfamiliar with, whose language I speak with the aid of the brilliant Google translator application? As an artist, it is not lost upon me, the lineage to which I am now attached. Great contributors to the history of art were born in Paris: Degas, Manet, Rodin, Monet, Nadar. Others such as Picasso, Rivera, Dali, Chagall, Delaney, and Tanner came to France temporarily or made their lives here. I cannot give an exact date when Paris was imprinted on my consciousness, or when it took root in my heart. I only know that sometime during my childhood, I fell in love with Paris. I was fortunate to have a mother who exposed my sister and me to art, culture, and language. In the 1980s, my mother worked as a reservationist with American Airlines and took us on trips to Chicago, Hawaii, Saint Thomas, and Montreal, where I saw snow and heard French in person for the first time. 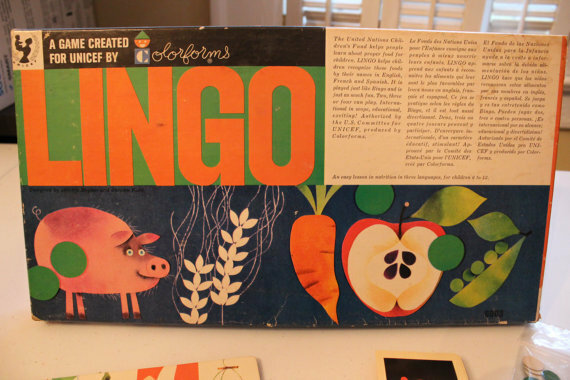 At home, we played Lingo, a children’s language game based on the game Bingo. Unlike Bingo, the boards in Lingo had rows and columns of images on them. On each card, there was a single image of a fruit, vegetable, or animal along with the word for that image in English, French, and Spanish. When a card was called, you would say the name on the card in any language you chose. I spent lots of time looking at and reading the cards in all three languages and envisioned myself speaking them all fluently. As a child, I watched I Love Lucy and enjoyed listening to Ricky speak and sing in Spanish. I would pretend to speak Spanish by making up my own unintelligible language that sounded like, but in no way was, Spanish. And I loved the episode where the Ricardos and the Mertzs go to Paris and Lucy is arrested. Unlike James Baldwin, who in Paris was accused of stealing a hotel bed sheet and was not offered an interpreter upon his initial booking, Lucy was given an opportunity to explain herself to a French policeman with the aid of three interpreters! 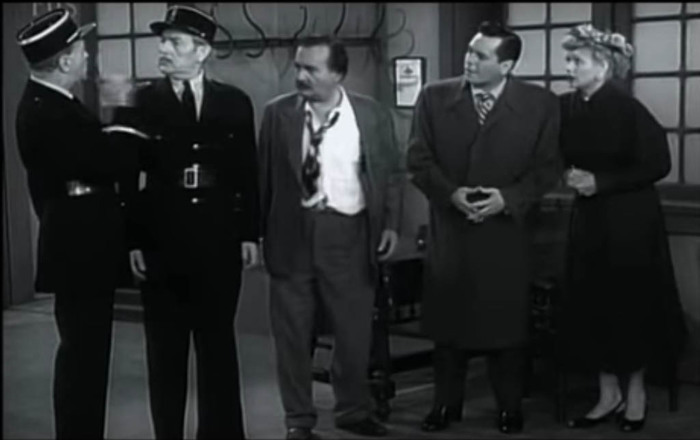 As a French police officer asks Lucy questions, his questions are translated from one person to the next in French, German, Spanish, and finally into English and back as Lucy answers his questions. 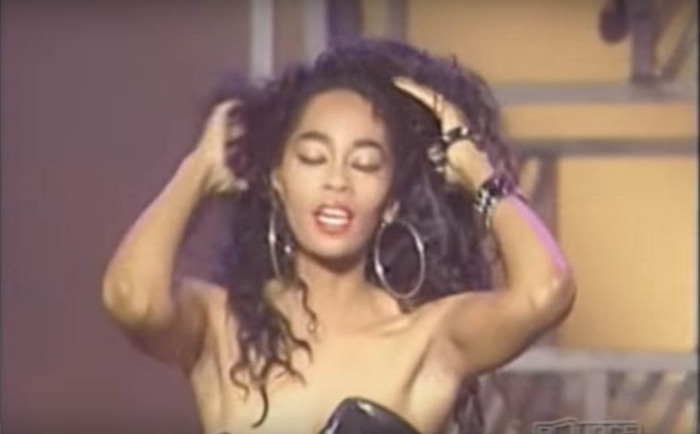 Later, when I was a teenager, Jody Watley debuted her solo album and promoted it on Soul Train. I watched Jody dance on stage and sing with a new look and sound after having lived in London and Paris for two years. There was something that seemed to happen to Americans, especially black Americans, when they left the United States. They seemed to return new and alive—and Paris was always part of that transformation. Paris seemed to offer black Americans an opportunity to live their best lives. Los Angeles-based photographer, Tim Alexander traveled abroad and photographed models in Parisian streets; wanting to “rediscover his love for show business,” actor, writer, and producer Damon Wayans went to Paris to find himself; and after receiving a one way ticket to Paris from an anonymous donor, Patrick Kelly went on to become a successful Paris-based fashion designer. Even Jay-Z and Kanye successfully celebrated being Niggas in Paris. From my youthful gaze, black Americans were making moves in Paris and I wanted to be a part of that experience. 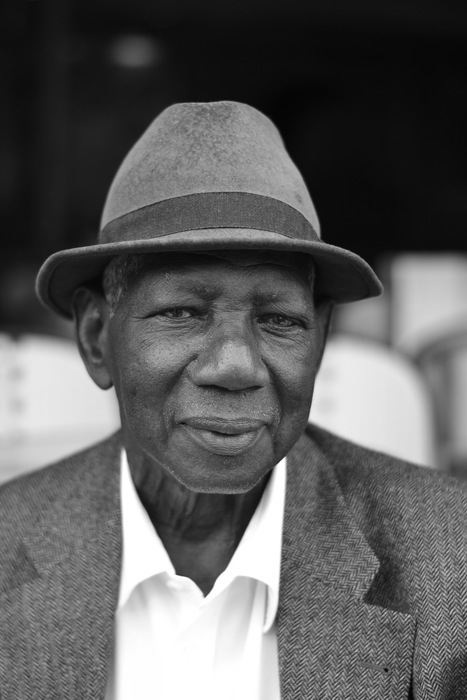 Charles returns, after I’ve mustered the courage to ask the Senegalese man permission to take his photograph. My French dictionary cannot help me translate as quickly as I need to express my thoughts and my expressive interpretive dance makes the conversation comical. A waiter translates and the mini photo shoot goes smoothly. Charles and I make time to sit at our table and drink espresso. We watch people ascend and descend the stairs to the Père Lachaise Metro station, which is just across a narrow street from where we sit. We talk. We take our time. I am beginning to understand. Lisa Diane Wedgeworth is an LA-based artist and writer. She is currently exhibiting new work in a solo exhibition, In Between, at AWOL 4937 Alhambra Ave, El Sereno, California. Exhibition closes, Sunday, June 19th.